The 1st China International Import Expo was held on November 5th -10th in Shanghai. 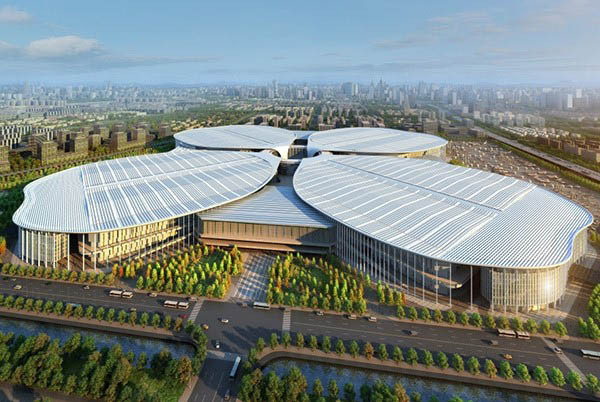 The Expo was hosted by the Ministry of Commerce of the People’s Republic of China and Shanghai Municipal People’s Government, in partnership with the World Trade Organization and the United Nations Conference on Trade and Development. It is a significant move for the Chinese government to hold the CIIE which demonstrates the support to trade liberalization and economic globalization, and also actively opens the Chinese market to the world. The Expo seeks to facilitate commerce with a variety markets and regions all over the world, and to promote global trade. The Expo was also a significant platform to take advantage of existing as well as new Free Trade Agreements with Chinese trade partners. 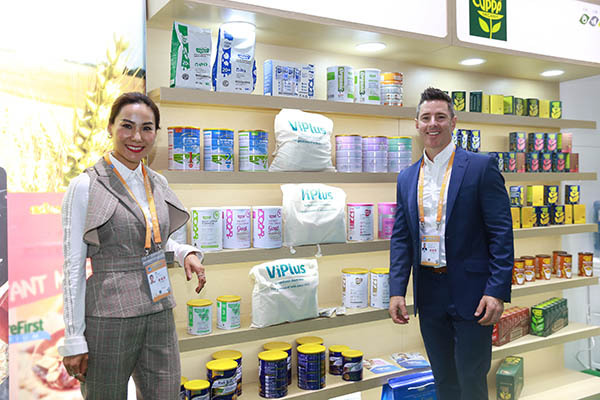 Viplus Dairy was one of the outstanding Australian Dairy brands at the Expo, and was invited to participate in the exhibition to showcase all the many attributes of our Australian Dairy industry. Viplus was overwhelmed by the interest from the business community as well as the general public in China who were seeking more information about our range of products. During the expo, International Sales & Marketing Manager Chris Mckiernan signed the Strategic Cooperation MOU with CCIC Australia Pty Ltd. CCIC Australia will provide Viplus with a full process traceability program for our organic products and for the organic farm certification, as well as product and material traceability and testing. This is extremely important to Viplus to help maintain strong product provenance. Chris McKiernan says “CCIC will allow Viplus to have full transparency of the supply chain starting from farm –gate to the consumer’s shopping basket anywhere throughout China. We know that product provenance and quality is very important to the Chinese consumer, and we are adapting our business to suit the needs of these consumers. 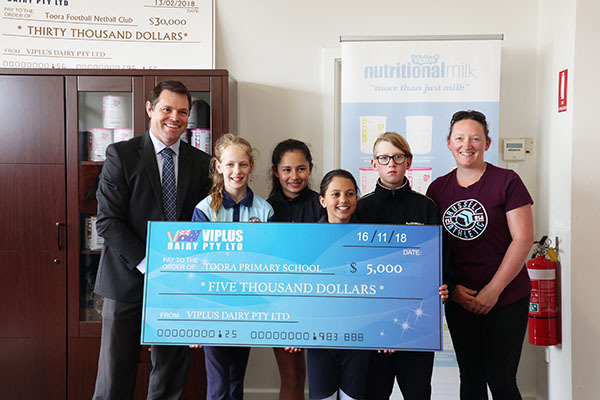 Viplus makes nutritional milk powder and has donated to many local causes including the Toora library, in addition to its three-year commitment to the Toora Football and Netball Club, worth $30,000 over three years. “About 60 locals from around the Toora vicinity are employed by Viplus and our dairy factory produces 25 tonnes of milk produce per day, all for the export market. We have strong working relationship with Burra Foods and Fonterra, where Burra Foods provide the bulk of our base milk powders,”operations manager Darren Humphries said. Viplus is riding the Chinese boom and was Australia’s first company which manufactures in Australia to receive accreditation and approval under the new China Food and Drug Administration (CFDA) regulations for infant formula production. The company is now expanding, entering into negotiations throughout the past nine months with Middle Eastern markets with plans to direct export to Dubai and Abu Dhabi with local language labels. Viplus Dairy are already trading in large parts of South East Asia, establishing new trade partnerships in 2018. Viplus already produces according to stringent certified organic practices, and is exploring Halaal certification for these and local markets too. 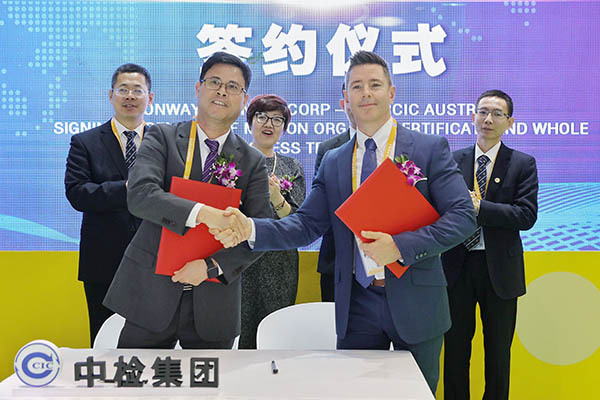 Viplus CEO Jon McNuaght said, “We already have a five year presence within the Chinese markets when, back in 2014, we became an accredited Australian dairy manufacturer approved by China’s Certification and Accreditation Administration of the People’s Republic of China(CNCA). Our focus now with the Victorian State Government grant is to expand our packing and bagging, increasing output. “At a recent China International Import Export Expo held in Shanghai, we engaged in meaningful discussions with about 300 distributors. We had excellent media exposure with prime-time television views and coverage on China International Radio. Throughout this enormous six-day event, we sold 25,000 units of milk produce. “Our big seller throughout the past two and a half years is the Gold 40+ aged care range. We are also very proud to be trialing a new innovative nutritional milk powder beverages as well as high-end functional products in the milk powder space. The infant formula market exploded in 2017 seeing the stock prices of local companies soar through the roof. The future sees bright for South Gippsland’s economy if the wave continues its course.